It looked like it was quite the battle, but John S. got his win last night, thanks to the Minnesota Wild scoring in overtime for a 5-4 win over the Kings. Devan Dubnyk was huge in that one, making 26 saves and bringing John to safety for this week. Now the focus shifts to Stacey M.'s team and her chances to get into Week Twenty-Two, as this week only begins to really kick off tonight. The NHL schedule is 12 games deep, but we'll only focus on Stacey's team in this post today. The New York Rangers are comfortable in a wild card spot in the East, but they could be back in the top three of the Metropolitan Division with a win tonight, but they will go up against the division leaders to do so, which is no tough task. Should be the number ones here tonight, expecting Holtby versus Lundqvist, keeping Stacey's goalie on the bench as a back-up. Between an injury to the number one guy and their number two a prime target at the trade deadline, the Buffalo Sabres are going with their current number three, Linus Ullmark and he'll be the opposition of Stacey's only shot at a win tonight, as Pekka Rinne will be in net for the Predators when they visit those same Sabres. The mumps outbreak is a real thing again, but unlike the Vancouver Canucks, the Minnesota Wild have had it happen to some of their key players. On Monday night, both Zach Parise and Jason Pominville were held out, because of the outbreak and they will be sitting out for an undetermined amount of time. The last big mumps outbreak was a couple of years ago and that caused players to miss upwards of a week of time, some even a bit more, so it will be interesting to see how quick these two recover and if anyone else comes down with it. Pominville is the most notable of the two, because he belongs to Dale B., who is still sitting in 1st place, but after Monday night, his lead has gone down from 4 points to 1 point. Missing out on a 5-4 overtime win against Los Angeles will sting, because that's a handful of potential points right there. Parise belongs to Stuart, who opens up in 10th place, 31 points back of the money. On Monday, the Vancouver Canucks were not in action, but they did call up goalkeeper Richard Bachman, as Jacob Markstrom is currently suffering from a lower-body injury, believed to have been suffered over the weekend at the team's SuperSkills day. There's no word on the severity of the injury and it was confirmed that it isn't the mumps that he is dealing with, but he will miss some time, starting tonight, when the Canucks host the Red Wings. Clayton's team has been holding steady around the 17th spot in the standings, with goaltending that ranks 24th in the pool, with 24 points. There's a good chance that Kristy & Don will now surpass that total, now that they have Jonathan Quick back in their lineup. The television pundits and NHL beat writers are beginning to wonder if there is going to be anything left for Wednesday's trade deadline shows and they might have reason for concern, now that one of the biggest pieces has now been traded, a couple nights early. 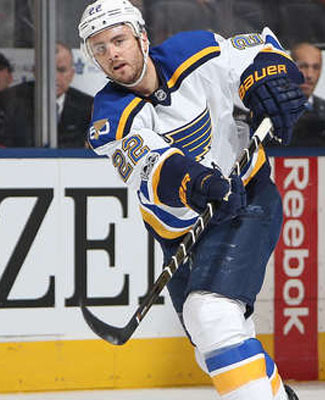 The St. Louis Blues have completed a trade that sees offensive defenseman Kevin Shattenkirk dealt to the Washington Capitals, a team in where he will agree to a long-term contract extension, in a deal that sees an entry-level roster player, picks go the other way and the Blues keep some of the remainder of the $4.25 million annual cap hit to be paid out in the last six weeks of the season. The Rangers and Penguins were the teams also occupying spots in the conversation for the 28-year old, but it sounds like the Capitals were about the only one of the three that was ready to pay the price for Shattenkirk and the other two teams were not going to get into a bidding war. Shattenkirk is expected to be in New York for Tuesday and ready for the Capitals' next game against the Rangers, which was being reported before the trade call was even complete at the NHL side of things. We get to start off the week with a survival game, which is down at the bottom of the three games on the schedule, but we do have one, so let's all get really excited! The pool match-up is 12th versus 10th in the swamp, as Marcin trails Stuart's team by 14 points, at the start of play on Monday. Marcin hasn't seen many starts out of Montoya, since picking him up and his standing hasn't improved much since the Waiver Draft, but the stretch run could be a bit busier for back-ups across the league. The Age of Vasilevskiy begins in Tampa Bay with the trade of Ben Bishop to Los Angeles, as the new number one will get the start with the traveling Senators in town. The Sens are on back-to-back nights, hence the Condon start tonight. Two money-hunting teams getting starts in this one, as Stacey starts 13 points back and Ryan is 23 points back. Ryan should get more minutes out of Vasilevskiy down the stretch, which could claw back some of those points before too long. The survival game is going to be a doozy tonight, as two teams that upgraded their teams with trades on Sunday go head-to-head. The Kings are on the outside looking in, while the Wild are aiming to stay atop the West standings. John gets his survival start and that's all that really matters in this game. The pool match-up is 20th versus 15th, so no money being won in the overall standings, but John could really use that win to keep his eye on that mini-game cash. 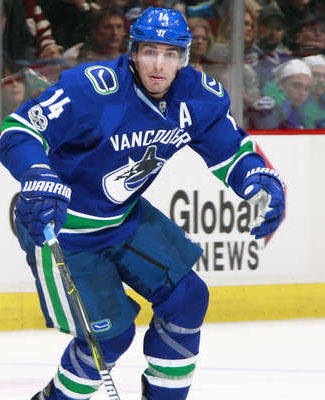 The Ottawa Senators are right in the thick of the Atlantic Division title race with the Montreal Canadiens, so they are out for a playoff upgrade and they may have found one in Alex Burrows, as they have acquired him from the Vancouver Canucks on Monday, a couple days ahead of the trade deadline. The 2017 season may not be one of his better offensive years, but he does have a great deal of playoff experience and is known as a good personality in the dressing room, someone to improve the team as a whole. On top acquiring the forward, the Senators were able to sign him to a 2-year contract extension, reportedly worth $2.5 million per season, which helped seal the deal. In return, the Canucks get a significant prospect in Swedish forward Jonathan Dahlen, who was a 2nd round pick in this past June's draft. Dahlen had 5 goals and 6 points in seven games with Sweden at the World Juniors and is a point-per-game player in the Swedish Division 2 league. Kristy & Don have one of their players join a playoff-bound team and that could get the juices going, as they have Burrows more for his ability to find his way to the penalty box and with the Senators losing Chris Neil to a broken finger this weekend, opens an opportunity for Burrows to play the pest all over again. The duo trail Marcie by 62 minutes in the PIM pool and the tide could start to turn with this move. It's somewhat surprising that this trade is hockey pool relevant, but it is. 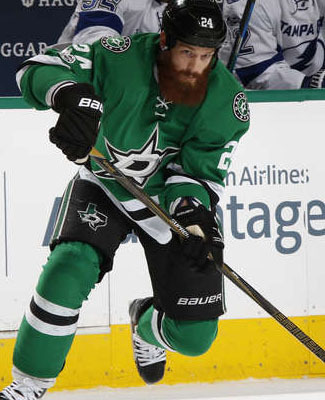 The swap that sees Jordie Benn join the Montreal Canadiens is relevant and actually has some value to it as well. The Habs acquire a fairly sturdy defender, who has posted some scoring numbers this year, adding some quality depth to their blueline. Benn is well on his way to getting close to his career-high of 20 points, which he hit back in the 2014 season. I wouldn't think that the Habs are looking to increase their offense with this deal, but he should be able to help move the puck, if the offense starts to find its legs and assists should come along with it. Jeremy picked up Benn in the first Waiver Draft and has seen some production since he was activated, with 9 points in 34 games collected, so far this season. Jeremy is 26 points back of the money, so if Benn can help generate a little more offense, then this could be a good move, but both Dallas and Montreal are just about even in goal scoring to date, 173 vs. 172, both in 62 GP, so there no expected gains to be made. The Philadelphia Flyers will be down a man for their next couple home games, Tuesday against Colorado and Thursday against Florida, now that defenseman Brandon Manning has been suspended for two games. Manning got nabbed for a high hit, which should have been called for interference, at the Stadium Series game on Saturday night, when he caught Jake Guentzel up high leaving the Pittsburgh defensive zone. As the video below shows, the combination of the late hit and how high it was, earned Manning the ban. The 26-year old defenseman was a Waiver Draft pick-up for Brenda & Seward this year, but it had really gone awry for them. Since picking him up in the first draft, he has played in 30 games for the Flyers and has only picked up 1 assist in the process. The duo are 18 points out of the money and are in desperate need of more points from somewhere, but it won't be from Manning in the early part of this week. This was an excellent week for scoring forwards, as there were three players that could have won the Player of the Week nod in most weeks this season, but only one stood above them. Filip Forsberg has a week for the ages, finishing off with 10 points, thanks, in part, to a pair of hat-tricks. Jonathan Toews of the Blackhawks had 9 points and Johnny Gaudreau of the Flames had 8 points this week, both finishing a shade short of the Predators forward, just to show how good this week was. Forsberg kicked off his week with a hat-trick against the Flames on Tuesday, followed it up with a hat-trick against the Avalanche on Thursday, continued on with a goal and 2 assists against the Capitals on Saturday and put the cherry on top with a goal against the Oilers on Sunday. 8 goals and 2 assists in four games for the Predators forward, that's pretty damn good. The 10-point week now brings his totals up to 24 goals and 46 points in 62 games with the Predators, which has him ranked 56th in pool scoring, as of Monday morning, an early 3rd round pick, if the draft was redone today. Wes is getting good value for his pick, having taken him with the 61st overall pick in the 3rd round in this year's draft, it is really working out in his favour, one of the few picks that have worked in his favour this year. It was a runaway win for Eric and his team in the Mover & Shaker race in Week Twenty. Eric's team was the only one that topped the 30-point mark in the week, finishing with 33 points and his team saw a very promising gain, moving up from 10th to 6th in the process. The big week means he slides his way into the money conversation, but his team still sits 19 points back of the money, but he's much closer than he was a week ago. 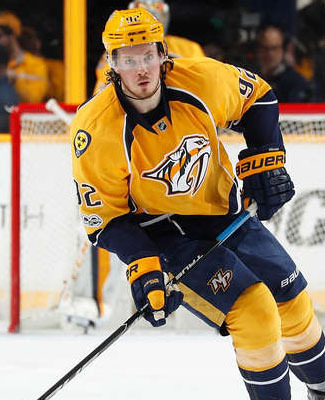 Eric's investment into the Nashville Predators really paid off in the week, as Ryan Johansen led the way with 7 points in the week, while both Viktor Arvidsson and P.K. Subban each had 5 points. All three were taking advantage of the hot streak of the Player of the Week above. Justin Williams of the Capitals picked up 4 points in the week and Jamie Benn of the Stars had 3 points, rounding out his notable producers in the week. The move to 6th place is a new peak position for Eric's team, which has spent some time in 25th place this season, way back in Week Three, so there is always some hope that your pool team can turn things around through the Waiver Draft and being patient with your team, as hard as that seems. At the end of the first segment of the season, Eric's team was ranked 20th, but was ranked 9th in the second segment, pushing his team up to 12th overall and now, in this third segment, his team is 2nd in the last three weeks, which has been good enough to bump him up those last six spots. Can his team find its way up to the money? Troy has some company down in the basement this week, as Grant's team was tied for the dweller nod this week, with 11 points, but did Grant's team score enough goals to stay out of the honour? Nope. Actually, we'll have to go to the second tie-breaker... wins. Both teams finished with 3 goals in the week, tied with two other teams for the least amount of lamps lit in the week. And in the win department, Troy had a win from Tuukka Rask and Grant had a win from Henrik Lundqvist. Well, this looks like a joint Basement Dweller nod... unless, I can find something else to base this on. According to my own player rankings, I use games played as the next tie-breaker, so the team with the fewest games played in the week from their skaters... they'll be the Basement Dweller. And with a difference of 24 games to 21, Grant will find his way to the bottom of the standings, earning the Basement Dweller nod, yanking it away from the bloodied goon hands of Troy's team. Grant can thank Dennis Wideman's time in the press box and a couple of his players having their 5-day mandatory break in Week Twenty for the honour. Dale B. increased his overall lead to 4 points, as his team outscored Brian's by a couple points in Week Twenty. Both teams, however, both dropped points to Marcie's 3rd place team, as her team was 4 points better than Dale's in the week and she sees the gap shrink to only 6 points to Brian's team to start Week Twenty-One. Stacey C. and Brenda & Seward both dropped points to Marcie's team as well and the gap to the money is getting bigger and bigger as the weeks go by. There's something about being the Mover & Shaker team and being the goon team of the week, I'm seeing lately. Eric's team was also their pugilistic best to move up the standings in the PIM pool in Week Twenty as well, topping out at 27 minutes, but Marcie's team was still pretty good, at 26 minutes. Eric's team is now trailing Kristy & Don by 7 minutes, which is becoming more of a technicality than an obstacle. Troy's team finished with 25 minutes and is now 21 minutes out of the top five, but he needs some real rage through his squad to make up the gap to 1st place. The goalie survivor pool didn't quite make it to the weekend for elevated anxiety levels. Both Stacey M. and John S. survived the week and that was going to be the toughest week on the third segment's schedule, as we made it through a pretty weak portion of the NHL schedule, with only 39 games played. The schedule ramps back up to 50 games, so there will be lots of games and likely lots of starting chances for both of their goalies, there is a fine chance that they might split the pot in the end. The first mini-game to be decided is the outdoor games pool, to which Marcie's 6 points was tops, thanks to the Heritage Classic game, where her goalie, Cam Talbot, posted a shutout to help lead the way. No matter which way you sliced it this season, it seemed like her team was destined for at least one prize and there are still some more prizes to claim. You can see her team's name across the board in the Newsletter already, so there's still potential in there for more money. The Blackhawks likely had Corey Crawford penciled in to start against the Blues yesterday, like we did on the blog, but the Chicago number one came down with that ugly flu bug and that nixed his start in a hurry, leaving Scott Darling to fill in and it was a race to try and get Lars Johansson in to back-up, as the AHL affiliate was on the other side of the country. Marcin's team was in the hunt for the money once upon a time this season, but injuries really mounted on his team and now his team is stuck in the middle of the standings, with not much else to play for. We have six weeks left and his team is 47 points back of the money. Cue the comeback? The New York Islanders could be getting a boost to their blueline this week, as it is expected that defenseman Travis Hamonic will return to practice today and that could mean he'll be working his way back to game shape and help the islanders try and reach the playoffs down the stretch. Hamonic has been on the shelf since the beginning of January with a lower-body issue and has missed a big stretch of time. With 12 points in 35 games for the Islanders, he hasn't been a big offensive producer, when healthy, but anything is better than nothing for Ryan, who opens the week in 7th, only 23 points back of the money. A note for tonight's game for the New Jersey Devils, as they could very well be without forward PA Parenteau against the Canadiens, as he suffered a finger/hand injury blocking a shot against the Rangers and his now questionable, at best. If he doesn't play tonight, he'll be listed as day-to-day. Tony's 24th place team continues to take a kicking in the injury department. I think his team is doomed to not be in last place, but second-to-last. The Minnesota Wild won't have a draft pick in June until the 3rd round, thanks to the deal that brings them both forwards Martin Hanzal and Ryan White from the Arizona Coyotes. The Wild were not shy in this deal, sending their 1st round pick, as the highlight of the deal, not to mention their 2nd round pick in 2018 and if conditions are met, they could lose a 2nd round pick in 2019 as well. The conditions on the 2019 are as follows, thanks to Bob McKenzie: if the Wild win a playoff round this year, it will be a 3rd round pick and two rounds (or more) will make it a 2nd round pick. Further to the draft comment above, the Wild were already without their 2017 2nd round pick, thanks to the deal that brought them Chris Stewart from Buffalo last year. Nevertheless, the Wild add some more depth down the middle, which is already pretty thick, in the acquisition of Hanzal and there is also the acknowledgment that the playoffs are a tough time to play in, so some added muscle in White isn't necessarily a bad move either, especially at a reasonable cost. Both players are scheduled to become unrestricted free agents and give the Wild a little more flexibility in the Summer, when the free agent period will roll around, if they decide not to sign them to contract extensions, results in the Spring pending. Both Hanzal and White are pool players, as of the second Waiver Draft, as Jeremy has the depth centre and Kristy & Don have the rugged winger for their PIM push. Jeremy is in the fringe of the money race at the end of Week Twenty, with six weeks to go. With some results still pending on Sunday, his team sits in 7th place, 25 points out of the money. 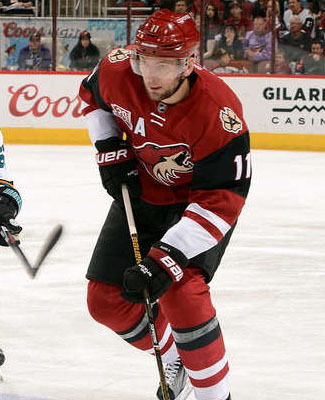 The move for Hanzal may increase his productivity some, but not that much. Kristy & Don, on the other hand, still sit in 2nd place in the PIM pool, but have been steadily losing ground. If White can get a regular shift, which isn't a guarantee, he will be out to protect some of those softer players and his minutes could come in handy. The duo sit 58 minutes behind Marcie, unofficially, and only 8 minutes up on Eric. They will need a big push from White, if they want any money back.